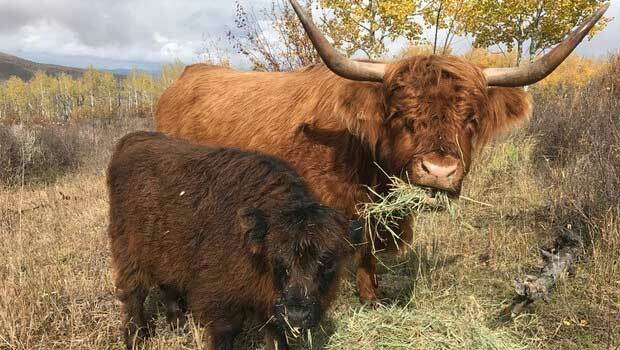 On August 30, 1948 at the Double X Ranch of Baxter and Lyndall Berry of Belvidere, South Dakota, a group of Highland cattle breeders met and organized the American Scotch Highland Breeders Association. 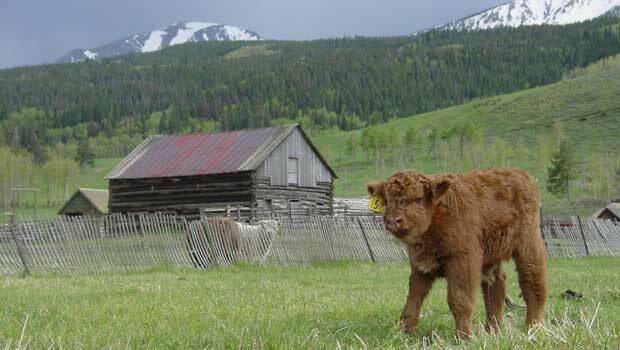 The purposes of the Association were established: to collect, verify, preserve and publish pedigrees of Scotch Highland cattle; to investigate and report upon doubtful or suspected pedigrees; to arbitrate and settle disputes or questions pertaining to Scotch Highland cattle and the breeding of same; to do all possible to protect and sustain the validity of said breed and the pedigrees thereof; and to extend every possible effort by means of advertising or otherwise to promote interest in Scotch Highland cattle throughout America. Those present at this "founders" meeting were Tom and Baxter Berry of Belvidere, SD; Paul Berry, Norris, SD; Ray Carr, Valentine, NE; George Holmes, Decker, MT and Rank Forbes, Henry, IL. The first officers were elected at this meeting: George Holmes, President; Baxter Berry, Vice President and Rank Forbes, Secretary-Treasurer. Directors were Ray Carr, Tom Berry, Paul Berry, Cyrus Shoop, John Matter, Phillip Spear and WJ Stiteler. The first annual meeting was held in June 1950. New breeders present and helping with the meeting were EJ Eddie, Stanley Sloan, John and Margaret Manke, Roe Bailey and Lyndall Berry. The second annual meeting was held June 1951 at Decker, MT. At this meeting a new President was elected – Baxter Berry. New directors were Star Sloan, George Holmes, Gerald Nunn, Jack Manke and TR Larsen. The Association was incorporated at this meeting. The third annual meeting was held June 28, 1952 in Belvidere, South Dakota. At this meeting, Lyndall Berry was hired as Secretary-Treasurer, at a salary not to exceed $100 per month. In 1954 it was decided that the retiring President would be made the Chairman of the Board for a period of two years and at the end of that time he would be eligible to be elected to the Board of Directors again. In 1954 the annual dues for ASHBA were $5.00 per year. Early highlights of the Association and its members included the visit of Stanley and Francis Sloan to Scotland at the invitation of the Highland Cattle Society in October 1953 and the visit of Mr. THL MacDonald of Scotland to the meeting in Belle Fourche, South Dakota in May of 1954. Ray Carr of Valentine, Nebraska had a beautiful herd of silver Highlands which received much publicity in 1954. 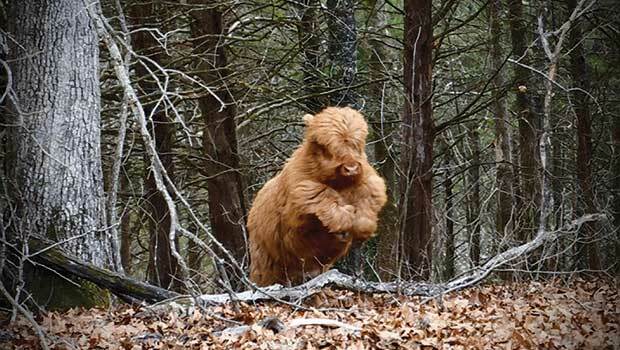 A shipment of 21 Highland bulls was made to the United States from Scotland (5 of them went to Baxter Berry). 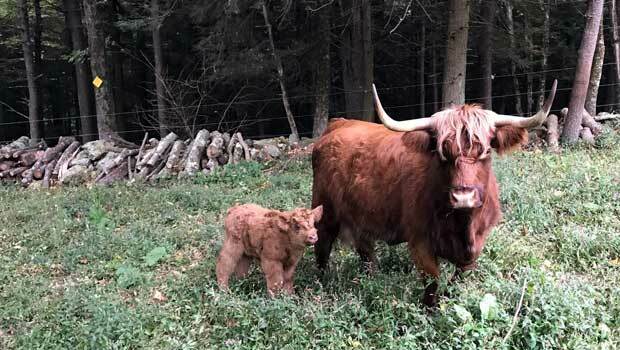 In the past seventy years, this Association has seen many changes, not the least of which is the change of the Association's name in 1992 to the American Highland Cattle Association or AHCA. We have had as Presidents of the Association: George Holmes, Baxter Berry, Ray Carr, Stanley Sloan, Jack Manke, Gerald Nunn, Wallace Wineinger, RT Beaty, Jack Stroh, Keith Crew, Russ Bueling, Jim Newland, Jim (DJ) Kennel, Ted Millen, Adrian (EZ) Braun, Joe Brownlee, Lincoln Bordeaux, John MacKenzie Anderson, Raymond Blalock, Fred Wellner, Allen Dyer, Gloria Brooks, Ted Robbins, Art Robbins, Doug Osborn, Roger Smoker, Don MacLeod, William Lipsey, Skip Hougland, Jim Pugh, Eddie Mackay, Jacquelyn Becker Chotkowski, Dean Adams, Nick Self, Deborah Nelson and Laura McDowell-May. Executive Secretaries over the years have been Rank Forbes, Lyndall Berry, Margaret Manke, John Stroh, Gloriann Allen, Frani Hogate and Ginnah Moses. Notable among these are Lyndall Berry, serving from 1952-1957 and Margaret Manke from 1958 through 1976. Ray Blalock should be remembered for his years of service as Chairman of the Board, keeping that seat during the turmoil after President Fred Wellner's death. Many members and regional associations have been hosts of the annual meetings. In the early years, the meetings were held in June in South Dakota. This has changed in recent years to alternating among the different regions and primarily scheduled for the third week in June. Recent hosts have been both private members and regional groups. 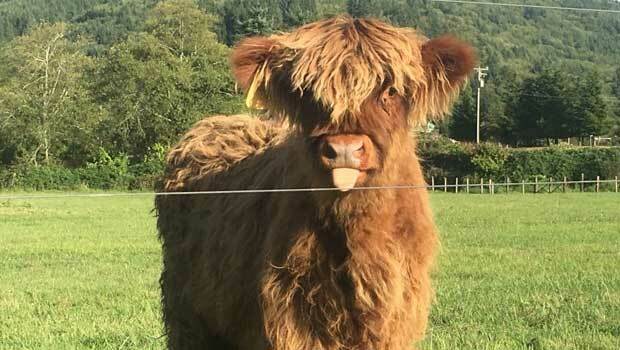 The Highland Member of the Year Award was started in 1980 by the Association to honor an individual(s) who has contributed most significantly to the Association and the breed. The Highland Hall of Fame was established in 1988 in memory of Fred Wellner and recognizes those members who have also made notable contributions to the organization's goals. These honorees are an outstanding group of Highland breeders. In 1986 some of our members traveled to Britain to join in the Centennial Celebration of the Highland Cattle Society. The John Andersons and Lincoln Bordeauxs were among those who made that unforgettable trip. 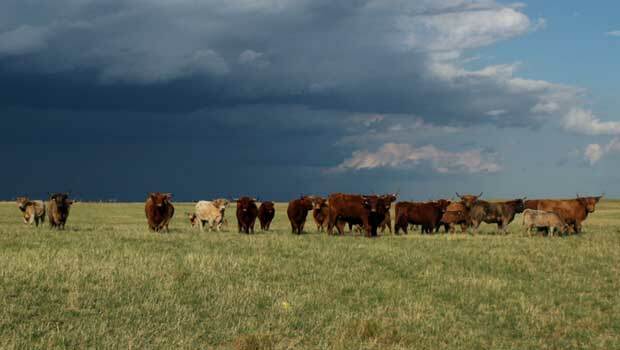 A special recognition goes to Jack Stroh of Walsenburg, Colorado who achieved the honor of being a judge of Highland cattle in the United States, Canada and Great Britain. Jack was a very special person and a real credit to our Association. In the early days of ASHBA, the official paper for members was The Fold, edited by Betty Jo Nolan of Chehalis, Washington. 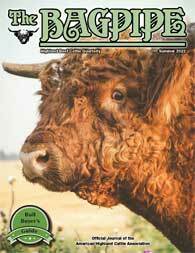 In 1975, The Bagpipe, our new breed publication was started. Editors have been Joe Brownlee, Dayton Nordin, Lloyd Howard, Bob Rieman, John Rieman, Colin Davidson, Chris Hawkins and William Lipsey. The editor/publisher is now Jacquelyn Becker Chotkowski. It is published four times a year and is included with membership in AHCA. It is chock full of management/health articles, marketing successes, association news and events, regional happenings, show results, etc. Our Association meets once a year for the annual general membership meeting at the National Convention. The Board of Directors and committees meet several times a year. We also have an annual National Show and Sale in Denver, Colorado each January at the National Western Stock Show. It is an outstanding event thanks to the hard work and dedication of our staff and volunteers who organize, manage and implement it. 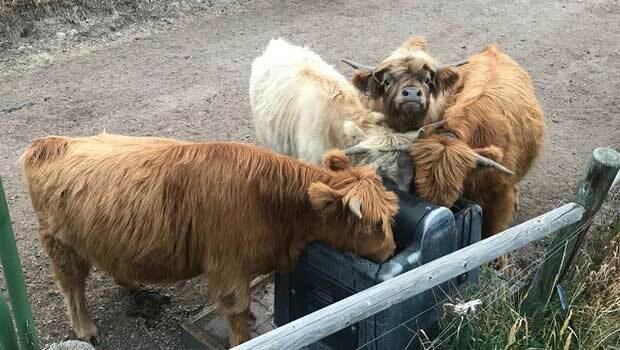 The Association looks forward to broadening our relationships with other Highland cattle societies. We were happy to be part of the 1st International Gathering of Highland Breeders in Edinburgh, Scotland in 1995. AHCA hosted the 2nd International Gathering of Highland Breeders in June 2006 in Sheridan, WY. The 3rd International Gathering was held in Glasgow, Scotland in September/October 2010. The 4th International Gathering was held in New Zealand in November 2014. We value the relationships, both professional and personal, formed at these association gatherings, as we do those formed at our own national level events. 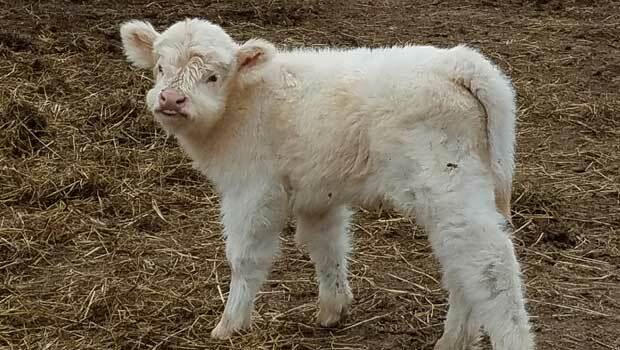 With respect and admiration for those who have gone before us in this great Association, we look forward to a future in which the breed presence is well known in the cattle industry in the United States and the value of the finest beef in the world is appreciated by the industry and the consumer. It's the job of each of us to make that happen!